My husband proposed to me on December 8, 2001 after a fun filled day Christmas shopping in the city. He brought me back to the place we met, and sang me a song that he practiced for weeks on the piano. After a whirlwind month of Christmas gatherings and parties, we started to search for a house to move into. Before we decided on colours, before we decided on the menu for the wedding reception and before I even went wedding dress shopping, we got in touch with a realtor and began the hunt for the place we would move into after our wedding. I remember looking at many, many different houses. None of them were perfect. When choosing our first home, we did consider the future and what space we would need for the family we wanted to have. Did wanting (or not wanting) a family contribute to your home choice? Did you feel that you could afford owning a house AND having a family? The pitter patter of little feet around the family home is fast becoming a financial luxury, as more than half of Canadians feel they cannot afford both family life and home ownership. While we all know that kids are expensive – some say it will cost a quarter of a million dollars to raise a baby to college-age! – it is sad that Canadians feel like they have to choose between owning a home and having a family. The Terrible Money Twos survey by RateSupermarket.ca polled 1,700 Canadians on their family affordability sentiments. In fact, 54.5% of those surveyed said the cost of having kids was higher than they expected. Did any of the costs of raising kids surprise you? At the time when we purchased our home, our credit union was the place we went for our mortgage. Because of mortgage rates back then, it didn’t make much difference or sense to compare to find teh best mortgage rate with different financial institutions or mortgage companies. Now, with current home prices and different mortgage companies, it is more important than ever that would-be homeowners compare their mortgage options. With tools such as RateSupermarket.ca’s Best Mortgage Rate Calculator, you can find the best mortgage rate for you! 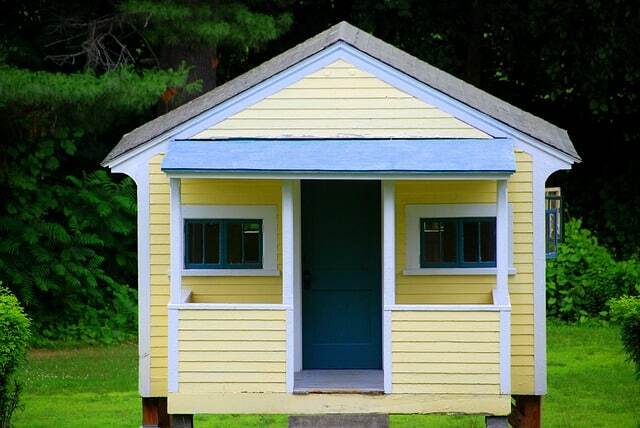 Did you shop around for a mortgage rate when buying your first home? Did you have to “choose” to have a family or own a family home? Childcare can easily be as expensive as anything else on the docket! Especially private preschool and other in-house care. I know it is for us! Kids are so darn expensive in general. Those extra-curriculars sure add up fast, too! This is a great resource. It can be difficult to manage expenses, especially school and other family expenses. Thank you for the resource. Being a young family, we try to save everywhere we can! What a great resource. We went through a local first time home buyer program and didn’t have to shop around for our mortgage rate. We bought our first house when our son was 4. They have so much info on RateSupermarket.ca. It’s super helpful when you’re making mortgage decisions. This sounds like a great tool for home buyers! And yes, kids always end up costing way more than anticipated! We purchased our home when the market fell back in 2008 and refinanced in 2011 just to obtain a lower interest rate. We need to look into the process again so I appreciate the information. Thanks for this – my husband works for a bank so we just do all our big stuff there. We really do need to improve on the little things though! We are saving now to buy property, I hope we need this mortgage info soon! Thanks for helping! Finding the best mortgage rate is so important when shopping for a home. Thanks for all the tips and help! We did shop around for a good mortgage rate. We did a lot of hunting to find our family home. I will have to share this great post with my friend. She just got married and is looking to buy her first home and start her family. I always had a hard time on managing expenses, This was really such a great post. I’m going to check this out. Thanks for sharing. Thanks for the information. Will definitely be looking at this when we start looking for our own home. My husband and I are talking about buying next year or the following year so these tips are extremely helpful since I’m so new and green to the entire process. I wish I had done more research ahead of time. We jumped in & had to figure it all as we went. Thanks for the resource. Still so much to learn! What an awesome resource! It is great to be able visualize expenses and how to plan for them. My mom is going to be buying a house soon. She is in the process of doing all the research now and getting preapproved for a mortgage. It’s a very long process and a learning process as well. This is a really interesting survey. I am trying to conceive now and I am also saving money for childcare. That cost scares me the most. When I purchased my house I thought I’d only be in a few years then I’d get married move with my husband and use the property as a rental. Ha!!! LIfe has taken a very different route I am still in the same home and preparing to have a little one (God willing) while still living here. I used this resource to help me negotiate a better rate last spring! 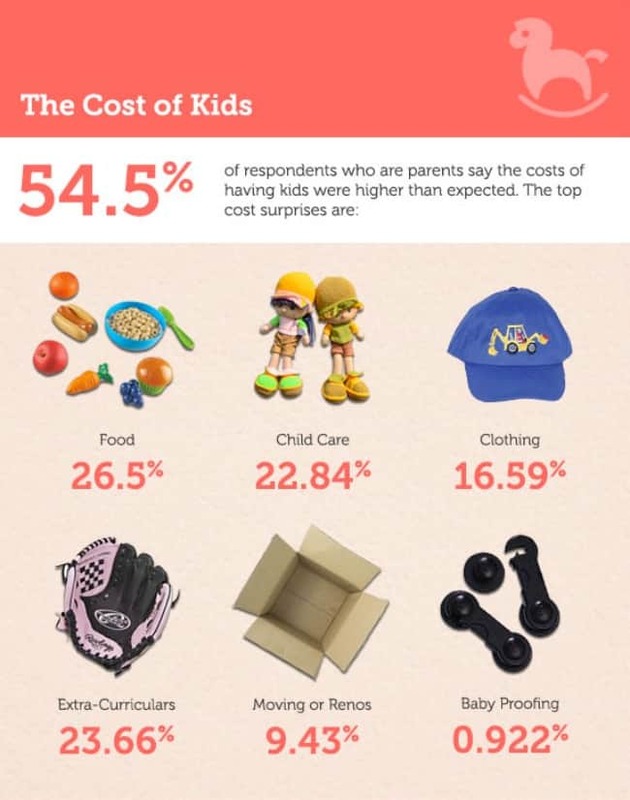 Great breakdown in the cost of kids!! Hope it helps people open there eyes and realize before they come on board!! So important to save money where you can and a mortage rate is a great place to shop around.